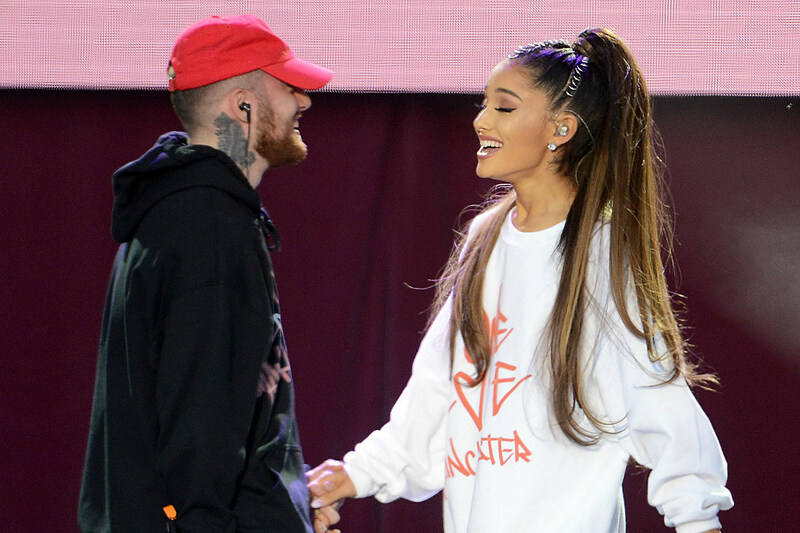 Home Music NewsPop Ariana Grande ‘Ghostin’ Lyrics—Is ‘Ghostin’ About Mac Miller? Is Ariana Grande‘s “Ghostin” about Mac Miller? Fans believe the pop star’s new song might be about her late ex. The singer just dropped her fifth studio album thank u, next—and as always, fans are decoding every single song. They’ve found some heartbreaking evidence to suggest that the lyrics in “Ghostin” are about both Miller and Pete Davidson, who Grande broke up with in October. In January, Grande tweeted that the song’s meaning is “feeling badly for the person you’re with bc you love somebody else. feeling badly bc he can tell he can’t compare…. and how I should be ghosting him.” Now, after reading the lyrics, fans are even more certain the track is about how Grande dealt with Miller’s death while she was in a relationship with Davidson. Then, in the chorus, she sings, “I know that it breaks your heart when I cry again / Over him, mmh / I know that it breaks your heart when I cry again / ‘Stead of ghostin’ him”. Here, she seemingly acknowledges how hard it must have been for Davidson to see her mourn her ex-boyfriend.